Influenza: A real threat to young children. KUALA LUMPUR: In their imaginary world, children could be superheroes fighting fearsome monsters. In real life however, children are quite helpless against many threats to their health and well-being – influenza is one of them. Worldwide, this disease is responsible for between 290,000 and 650,000 respiratory-related deaths annually, many involving young children. Children are a high-risk group when it comes to influenza. While healthy individuals tend to experience mild to moderate symptoms, young children may suffer severe flu. This is shown in a study where children hospitalised from influenza were either admitted into intensive care (12%), developed respiratory failure (5%), had bacterial co-infection (2%), or even died (0.5%). The US Centers for Disease Control and Prevention (CDC) also estimates that every year, flu-related hospitalisation among children younger than five years ranges from 7,000 to 26,000 in the United States. This could be because such young children have immature immune systems. Furthermore, those below six months are not old enough to be vaccinated against influenza. Children with pre-existing medical conditions have a higher likelihood of getting hospitalised for influenza. Of the 40% of children studied by Dawood, 18% had asthma, 15% (of those below two years) had been born prematurely, and 7% had developmental delay. However, this does not mean that other children are safe. A 25 year-long study of 1,665 healthy children found that influenza was associated with high death rates in otherwise healthy children aged below five years. Acute otitis media (painful middle ear infection) and lower respiratory tract disease were highest among children aged under two years old. Influenza can spread in a couple of ways. If an infected person coughs or sneezes openly, influenza viruses are released into the air. When inhaled by someone else, these viruses make their way into the respiratory tract and start to replicate. Alternatively, the droplets may land on, or be transferred by touch to, items like toys, remote controls, door handles, bed sheets, blankets and so on. The viruses can live there for hours or days. In that time, anyone handling those contaminated objects (called fomites) will get the viruses on their hands and eventually into their mouths, nasal passages and eyes where the viruses can enter the body. Seeing how children share toys and have close contact with their school friends, siblings and other family members, it is no surprise that they can easily catch and spread the disease. In fact, they shed greater amounts of the virus for longer periods than adults do, despite displaying symptomatic illnesses for a shorter time. All this often comes at their own and their family’s detriment. A study by Principi et al found that most children with influenza attended day-care centres or schools. They also had a higher likelihood of fever and croup (an infection of the upper airway characterised by a barking cough), and a longer school absence. Their parents and siblings also had more respiratory illnesses, needed more medical visits, missed more work or school days, and needed help at home to care for the ill children for a longer period of time. It helps to teach children good hygiene and etiquette to reduce the risk of influenza infection, to some extent. These include hand washing, and staying away from friends who show signs of influenza. However, vaccination is the best way to prevent influenza. The CDC recommends vaccination for all children older than six months (as well as adults who care for children). Two doses of vaccine should be given to children aged six months to eight years while only one dose is required subsequently. Influenza vaccination should be given annually to protect against new mutations of the viruses that are expected in the coming season. This will substantially reduce the risk of severe disease that may result in hospitalisation or serious complications. It will also help prevent the virus from spreading at home (particularly if you have a baby under six months old) or in school. While temperate countries experience influenza seasons in winter, we in Malaysia have it all-year round. As such, you should get your child vaccinated as soon as possible, and repeat the process every year. Article courtesy of the Immunise4Life programme by Health Ministry, Malaysian Paediatric Association and Malaysian Society of Infectious Diseases and Chemotherapy, supported by Sanofi Pasteur. Learn more at https://immunise4life.my/beattheflu/ or http://www.ifl.my/btf. SIDMA College Sabah and Sarawak revitalize bilateral collaboration with UNIRAZAK (University Tun Abdul Razak) through the signing of a new Memorandum of Understanding(MoU) recently .This new collaborative initiative between UNIRAZAK and SIDMA College Sabah and Sarawak have paved new openings for the SIDMA to venture and placed special emphasis on niche programmes such as Education, Early Childhood Education, Information Technologies and many more. Prof Dr Zulkifflee Mohamed, Deputy Vice Chancellor (UNIRAZAK) during his welcoming address, stressed that UNIRAZAK is the first private University in Malaysia which was established on 18 December 1997, and has since been awarded the prestigious Multimedia Super Corridor (MSC) status – which by itself is a testimony to UNIRAZAK commitment to blend technology and innovations in its methods of teaching and learning; which is very relevant in the current 21st Century skills development. He added that UNIRAZAK will continue to aim high to implement only quality academic programmes, approved by Malaysian Higher Education Ministry (MOHE); to meet the current 21st Century skills requirement of the industries; as well as to continuously meet the high standards required by Malaysia Qualification Agency (MQA). In addition, all of its programmes offered were developed through close consultation, and thus were very in-line with business and industrial partners, he added. Dr Zulkifflee also pledged that UNIRAZAK will continue to spearhead its cooperation and collaborative networking with leading global institutions which are renowned in their respective fields; and to continue to aspire all UNIRAZAK students (including those in its regional campus) to be a potential and successful graduates and great thinkers who will become the upcoming proficient leaders. Adjunct Prof Dr Morni Hj Kambrie (Founder and Chairman SIDMA College for Sabah and Sarawak) during the MoU signing ceremony stressed that the focus for the renewed collaboration with UNIRAZAK is to provide SIDMA College students with a centre of reference for students to look-up and to explore the humanities, social sciences, arts as well as other related technical and practical skills needed; thus through UNIRAZAK, relevant opportunities will be available for them to develop and fathom knowledge, through constructing, deconstructing and reconstructing it into new and meaningful expressions, applications, skills and data into formation of new knowledge, hypothesis and their real life applications. According to Dr Morni, UNIRAZAK apart from being well known for its human resources –possessing renowned professors, experienced lecturers and teaching staff; it also possessed relevant E-Library with a massive collection of five (5) online databases consisted of journals, magazines, proceedings, dissertations, and electrical dictionary, as well as more than 50,000 e-books on different subjects, state-of-the-art computer terminals, cosy student lounge and well equipped library. Furthermore UNIRAZAK have over 30 students clubs and societies, including Badminton Club, Toastmasters’ Club, Debate Club, International Students Club, Muslim Students Club, India Students Society, as well as numerous sports and recreation activities. UNIRAZAK also provides financial aid through its’ UNIRAZAK Scholarship and Tun Rahah Scholarships to eligible students. All these UNIRAZAK facilities and resources will complement and supplement SIDMA College existing facilities and resources, thus will in one way or another benefitting SIDMA College student both in Sabah and Sarawak. According to Dr Morni, SIDMA College is currently focusing on fulfilling its niche demand to meet the new 21st century skills in fields related to Education, Early Childhood Education, Information Technology, Management and more, to continuously live up to its vision: “To be a leading private education institution, producing knowledgeable, skilful and competitive individuals.” This vision coincidently is parallel with UNIRAZAK’s Vision, which is “To become the leading institution in providing Quality Education and Human Capital’s in niche areas among emerging economies”. Thus, through such collaboration with UNIRAZAK, SIDMA College Sabah and Sarawak pledge to achieve UNIRAZAK mission of becoming the Centre of Excellence in fostering Managerial Leadership and Entrepreneurship in the Development of Human Capital relevant to the 21st Century Industry needs through Qualities Research, Teaching and Learning, as well as Professional Services. The signing of the MOU and the exchanging of the documents were also attended by Tuan Haji Marzuki Umi (Director, SIDMA College), Puan Azlina Ngatimin (Director, Corporate Marketing and Business Development), Puan Azizah Khalid Merican (CEO, SIDMA Sabah), Puan Hajah Sofia (CEO, SIDMA Sarawak), and Encik Amil Hamzah (CEO, UNIRAZAK). THE last few months have been interesting for both professional and casual observers of Malaysia’s defence sector, mainly because of the upcoming Defence White Paper. 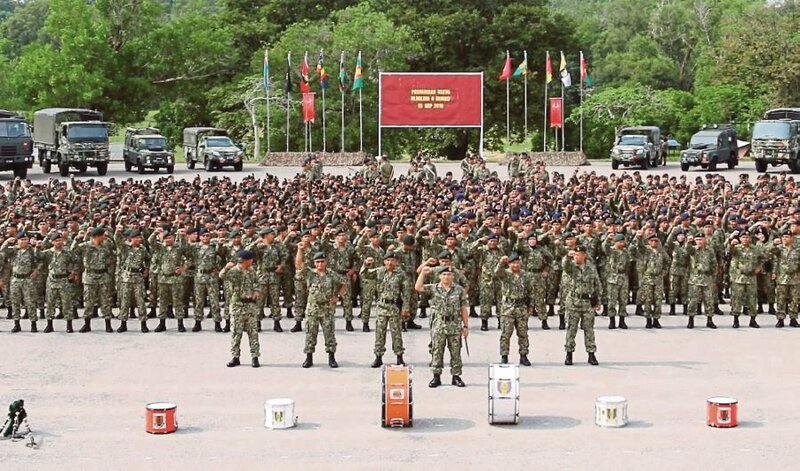 Schduled to be presented to Parliament by October, there have been quite a few articles and discussions on the various ideas of what Malaysia’s defence priorities and postures are, and what needs to be done to ensure their feasibility. Amid these discussions, it is important to remember that most of Malaysia’s national security threats in the immediate and foreseeable future are from the maritime and air domain. Thus policies, planning and spending need to reflect these challenges and appropriate countermeasures. Aong these security concerns is the South China Sea dispute, which is increasingly growing from a multilateral territorial dispute into an avenue of United States-China competition, and ongoing insecurity in the Sulu Seas and its impact on eastern Sabah. Additionally, Malaysia still grapples with illegal fishing, piracy and maritime disputes with some of its neighbours. The increasingly competitive, if not adversarial US-China relationship means that we also have to keep an eye on the Straits of Malacca, to avoid any trigger of greater major power involvement. This necessitates greater strategic planning and spending focused on the maritime and aerial domain. We need to carefully and rationally consider the acquisition of assets and capabilities that we can afford to operate, in effective numbers, if ever deployed. Investing in a limited number of flashy assets that look good on paper and in parades, or to ostensibly improve bilateral relations, is a practice that we simply cannot afford any longer. The men and women serving in the armed forces and ministry know what is needed — whether political decision-makers start listening to them, is another matter. There is also a critical need for greater maritime and airspace domain awareness. The importance of access to reliable information in understanding the nature and extent of a potential threat in planning a response cannot be overstated. In an age of networked systems, should we ever get into a kinetic conflict, it is not about who has the biggest gun but who has a better idea of what and where their target is, that has the advantage. Better domain awareness will also help defence planners deploy limited assets. The multiple stakeholders engaged in these domains — the navy, coastguard, marine police, fisheries and marine authorities and multiple actors from the private sector — ought to find greater avenues of cooperation. For example, with basic training and a relatively affordable investment in networked communication and GPS systems, fishermen can be co-opted to amplify the eyes and ears of authorities. Neighbouring countries are increasingly utilising this strategy. Petronas, which has a significant presence in the South China Sea and owns some of the best communication and detection systems that money can buy, is another prime candidate for such cooperation. However, some hard and politically sensitive decisions are needed to enable such changes. One hot potato would be an honest assessment of the size and role of the army, which because of legacy issues, is bigger than that of the navy, coastguard and air force put together. Such a large force requires significant operational and development funding which impacts the funds available to other services. There is a need to balance the core capacities, immediate and future requirements of our armed forces against the politics of job creation. It is also high time for a serious discussion on whether the defence budget should be tied to a percentage of the gross domestic product. This would give defence planners the much needed predictability in terms of balancing requirements and the budget they can expect from the government. The practice of drastically cutting down on defence spending every time there is a budget crunch, and giving small increments via supplemental budgets, sometimes at random, throws defence planning into limbo — including critical development and operational funds. Another hot potato would entail an honest reassessment of our domestic defence industry. Third party vendors, masquerading as “industry” that do not contribute any expertise or value-add to the overall defence sector, should be eliminated. Defence spending is expensive enough as it is without these well-connected interests further skimming government funds in the name of “self-reliance”. It is possible to have a more transparent defence spending regime, especially in terms of contracts and suppliers. Many countries do it without compromising security concerns. While diplomacy has always been our first, and an effective, line of defence and offence, Malaysia is sitting in the middle of a region that is undergoing tremendous flux. The threats have always been present and in some cases, are increasingly grave. A credible deterrence is an essential, albeit silent, component of good diplomacy. The non-traditional challenges from non-state actors that we face also require a mix of responses, sometimes kinetic in nature. We have been fortunate to avoid major conflict thus far, but we must not take the peace dividend for granted. Troops are often told to innovate in the face of adversity, but the reality is that there is only so much innovation one can do without sufficient resources. We have dedicated men and women working in tough conditions to maintain that peace — the least we can do is to provide them with the proper tools to do the job. THE politico-administrative order for stability, peace and progress in all states of the Federation of Malaysia, formulated on the principle of parliamentary democracy and constitutional monarchy, is specified in the Federal Constitution. Article 1 (2) of the Constitution states: Malaysia is a federation of 13 states. Article 39-42 details the functions of the Yang di-Pertuan Agong. Article 73-91 explains the relationship of the various states with the federal government. Among others, these provisions regulate “inconsistencies between federal and state laws” (Article 75); “obligation of states towards the Federation” (Article 81); and “acquisition of land for federal purposes” (Article 83). These articles are further enhanced by several schedules. The Fifth Schedule is about “the Conference of Rulers”; the Eight Schedule explains “Provisions to be inserted in state constitutions”; the Ninth Schedule contains federal and state “Legislative Lists”; and the Tenth Schedule specifies “grants and sources of revenue assigned to states”. These articles and schedules, crafted by the Reid Commission in early 1957, which form the fundamental politico-administrative order of states and the federal government, became part of the Federal Constitution with the blessings of all the Malay rulers, Queen of England, British parliament, Malayan Federal Legislature, and the various state assemblies in Malaya. The above order was also debated, vetted, articulated and agreed upon by all stakeholders, including the general Malayan population, numerous religious and race organisations, as well as national political parties. The inclusion of this order was legitimised by the Federation of Malaya Independence Act 1957, passed by the British parliament on July 31, 1957, which incorporated nine Malay states as well as Penang and Melaka into the Federation of Malaya. The order for Sabah, Sarawak and Singapore was incorporated into the Federal Constitution through the formation of Malaysia on Sept 16, 1963. Singapore, however, was separated from the Malaysia federation on Aug 9, 1965. Based on the above, it is imperative for all state governments to establish sustainable relations with the federal government, in the interests of their stakeholders, namely the Malay rulers, the ruling party, the citizens, the Malaysian parliament and the state assemblies. A recent testimony to this was reflected in the appointment of Dr Sahruddin Jamal as Johor’s new menteri besar, replacing Datuk Osman Sapian who resigned on April 8. The royal consent given to this appointment by Sultan Ibrahim Sultan Iskandar was to reinvigorate the state’s royalty-polity strategic partnership based on the principle of constitutional reciprocity. This leadership change was also to enhance the state government’s competency, professionalism and effectiveness; to accelerate the state’s socioeconomic development and industrial progress; and to strengthen its security management and law enforcement. This is due to the fact that Johor is an important frontier state with numerous challenges in protecting Malaysia-Singapore interdependency in trade, economy and security. 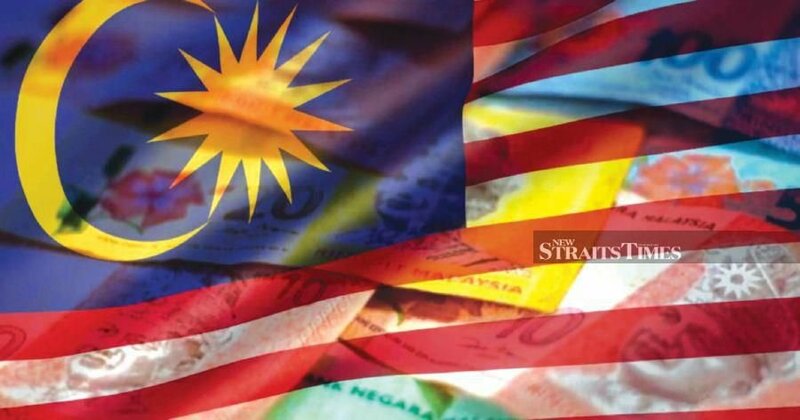 The change is equally important because Johor, which recorded a growth rate of 6.2 per cent in 2017, is among the biggest contributors to Malaysia’s gross domestic product, ranking fourth after Selangor, the Federal Territory of Kuala Lumpur, and Sarawak. It is also because Johor is an emerging industrial hub for “oil and gas, bio-economy, green technology, halal-based products, hospitality, services and logistics”. Up to December 2017, RM253 billion had been invested in Iskandar Malaysia, the state’s prominent growth centre. Johor also requires competent leaders to transform it into a “new economic powerhouse in the southern region”. This is because economic progress and political stability are essential ingredients of national security. As such, it was wise for the Johor sultan to advise Dr Sahruddin to carry out his duty as menteri besar, “with honesty, sincerity and trust” in the interests of Johor, its people and economic prosperity. It was also pertinent for Tan Sri Muhyiddin Yassin, president of Parti Pribumi Bersatu Malaysia, to suggest the formation of the Johor Economic Council to assist in the management of the state’s economic development and industrial progress. By Datuk Dr Ruhanie Ahmad. 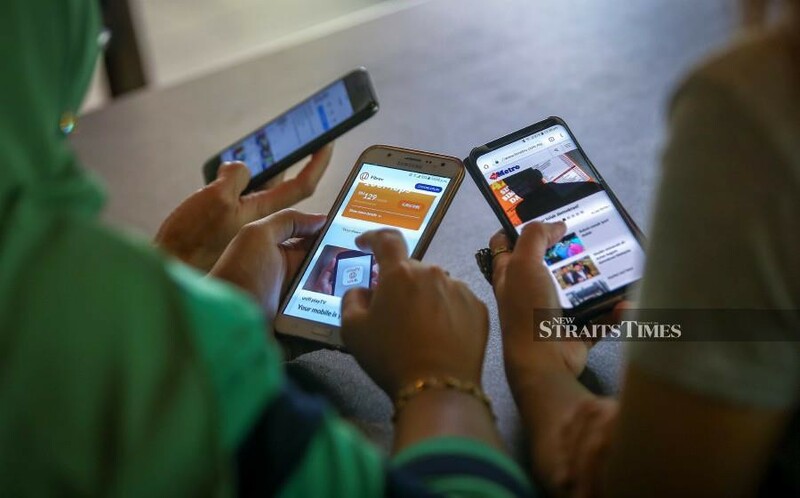 KUALA LUMPUR: The Communications and Multimedia Ministry is proposing for internet connectivity to be listed under utilities on par with water and electricity supply, as part of its efforts to expand broadband penetration nationwide. Spearheading the move is its minister Gobind Singh Deo, who said internet connectivity could be considered a daily necessity in an age where it plays a pertinent role in various aspects of development including the economy. He said the recent 5G broadband pilot project showcased the significance of data connectivity in everyday use in the fields of agriculture, medicine and transport among others. “I am in the process of proposing to the government to tailor a policy in which internet connectivity will be listed as a utility, which means that it (the service) will be given the same emphasis just like water and electricity. “We need to understand that it is (becoming) as important as daily necessities such as water and electricity. It will become something that we will require daily as the years go by. “We need to accept the fact that all (countries) in the world will progress with the help of such connectivity. That is why the government is taking proactive measures to ensure that it will be provided to all Malaysians. “No matter where (in the country), there needs to be connectivity,” Gobind told journalists during a special interview at his office in Angkasapuri on Monday. Gobind said the success of the proposal could also see, among others, internet connectivity or facilities become a requirement in physical developments involving residential or office buildings. “I have already discussed with the housing and local government minister (Zuraida Kamaruddin), during which we have proposed for the need to ensure that all buildings in new development projects, be it residential or offices, be equipped with internet connectivity (facilities). “Subsequently, in the future, we will not be seeing any building without internet connectivity… (previously people had to) meet with contractors to set fibre optic cables, which takes time and costly. We want to overcome such problems. On a separate matter, Gobind expressed discontent over an apparent delay by relevant authorities in taking action against cases of alleged offences involving gross insults against race, religion and the Yang Di-Pertuan Agong in social media. Gobind said the Malaysia Communications and Multimedia Commission (MCMC) had extended its cooperation to the police, which, unfortunately, he claimed, was not seen to be expedient in resolving such cases. “If we have laws, we need to be ready in implementing them. So when a police report has been lodged, we need to take action with haste. The MCMC can only do everything within its jurisdiction. But to make an arrest or charge is beyond my ministry’s authority. “I have said it repeatedly, and today I will say it openly because I think the people need to know why there is no action. I had a meeting last week (during which) I had requested to the police and Attorney-General to update me if there are restraints. “Tell everyone on what is actually taking place. If an offence has been committed, please take action. Otherwise, it paints a picture that it is as if the MCMC is the one not doing anything, although we had actually done our part. Fuzi with Omar (left) meeting with officers and members of Kunak police headquarters. KUNAK: The United States government’s decision to list Malaysia on a list of countries at risk of kidnapping and hostages (K) is seen as baseless as security in this country is under control. 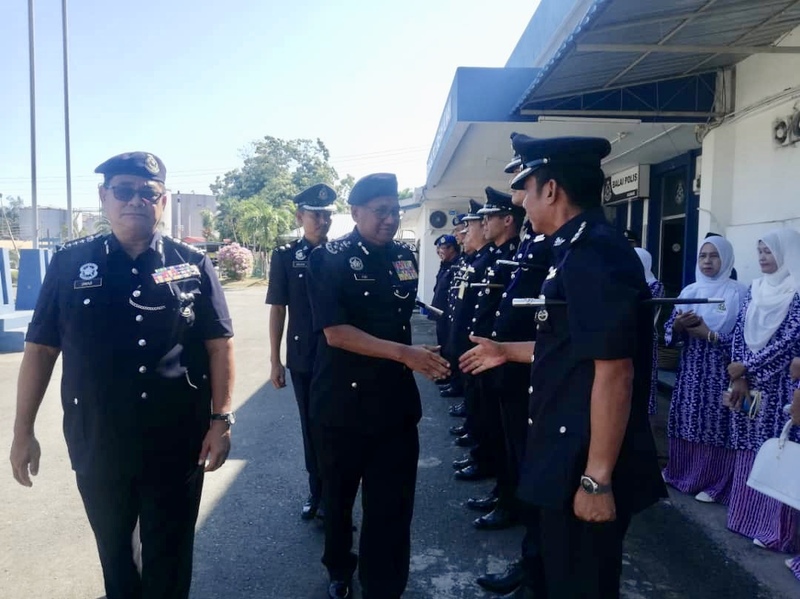 Inspector general of police Tan Sri Mohamad Fuzi Harun said Malaysia should be listed out from the list as Malaysia always gave serious attention on security. He said Malaysia was also always in a ready state to face any eventuality and worked with other security agencies to control security. Fuzi said the increasing number of tourists to the east coast of Sabah was also contrary to the trip advice which could affect the people’s confidence, including tourists, to visit our country, especially the tourism centre at the east coast of Sabah. He said this in response to the decision of the United States in listing Malaysia in the K indicator which was announced in the Travel Advisory on April 9. Fuzi when met during his working visit to the Kunak police headquarters yesterday, also disclosed that continuous discussions and monitoring as well as operations were being held to track if there are any remaining individual(s) linked to terrorism in the state. He said the police were always in control of security to restrict entry and ensured this country would not become the transit destination for terrorist groups. “Security, especially in this state, is under control following the operations and efforts undertaken by the security forces,” he added. CALLS have been made as far back as 10 years ago for the Federal Constitution to be taught in schools. Every citizen, young and old, should know what the Federal Constitution contains as it sets out the legal framework and rights of all Malaysians. Some parties have decided to renew the call again, following the public dispute on the provisions of the Federal Constitution following the government’s move of signing, and later rescinding from being a party to the Rome Statute and also the resignation of Datuk Osman Sapian as Johor menteri besar which sparked an intense discussion on the provisions in the Johor State Constitution on the appointment of his replacement. Earlier, there was a heated debate as to whether the government would contravene the Federal Constitution if it ratified the International Convention on the Elimination of All Forms of Racial Discrimination (ICERD). We find that some of those participating in the debates do so without having enough information and knowledge or without thinking about it. As such, it is the duty of every citizen to know the Constitution and their respective state constitutions. In fact, every household should keep a copy of the Federal Constitution and their respective state constitution. While one can download the Federal Constitution from the website of the Attorney General’s Chambers, it is a little difficult to source the state constitutions. Percetakan Nasional Malaysia should make these available for purchase at its premises or at major bookstores nationwide. It should be incorporated in the school curriculum to expose students — both at schools and universities as students today are leaders tomorrow — to the history behind the Federal Constitution and state constitutions, the forefathers who drafted them and their salient points. This would enable them to appreciate the wisdom behind the crafting of the documents and understand the various articles in the constitutions. Each and every one of us has to be educated on the Constitution. This will make us informed citizens. It will also make us think clearly and rationally about what to say or what to believe. Universiti Malaya law professor Datuk Dr Shad Saleem Faruqi, in one of his articles published by the media, said a constitution is not just a legal document. It is linked with philosophy and politics. It has as its backdrop the panorama of history, geography, economics and culture. “The Constitution is not a magic wand. It is not the alchemy that will set everything right. The challenge for Malaysian citizens is to get to know their Constitution, appreciate its moderating influence and bridge the gap between theory and reality,” he said. I the United States, for example, it is a requirement by law that the US Constitution is taught in schools. In 2004, a bill was signed that made it a law to teach the US Constitution in federally-funded schools. It is the legal obligation of those schools to provide students with programmes that open their eyes to the importance of the Constitution in their everyday lives. Taught properly, students can understand the true meaning of their rights and the vital constitutional amendments that protect those rights. It is also a law for the head of each US Federal agency or department to, among others, provide each new employee with educational and training materials concerning the Constitution as part of the orientation module provided to new employees. There is also a Constitution Day (or Citizenship Day) in the US. It recognises the adoption of the US Constitution and those who have become US citizens. It is normally observed on Sept 17, to commemorate the day in 1787, when delegates to the Constitutional Convention signed the document in Philadelphia. And a quick check on the Internet showed that over 60 countries celebrate Constitution Day. While it is not a public holiday, Constitution Day is often celebrated on the anniversary of the signing, promulgation or adoption of the constitution, or in some cases, to commemorate the change to constitutional monarchy. In India, for example, Nov 26 is observed as Constitution Day and on that day, schoolchildren would be taught about the Constitution. The Constitution of India is the longest written of any country in the world, containing 444 articles in 22 parts, 12 schedules and 118 amendments, with 146,385 words in its English-language version. In an article on its website “The Malaysian Bar”, the Bar Council said people would realise that the Constitution plays a pivotal role in their daily lives if they are aware of its provisions. “It is vital for everyone to understand the rights and privileges granted by the Constitution. It is important for us to understand the demarcation between the responsibilities of the federal government and the state governments,” it said. 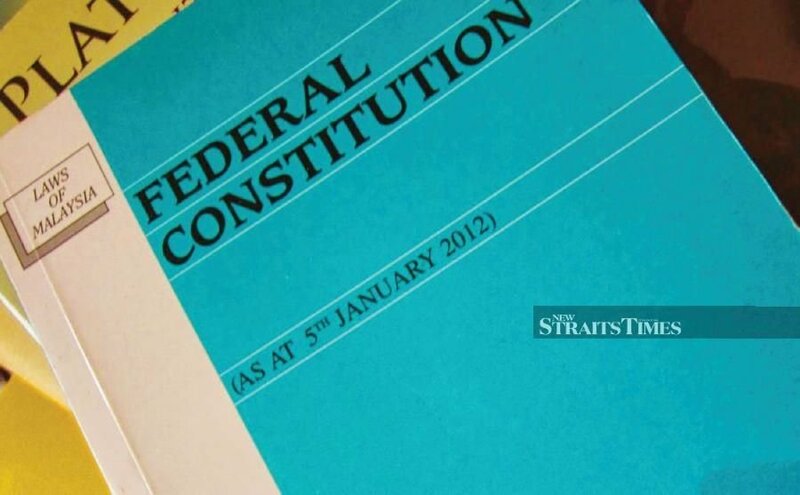 The Bar Council also said that the role of the rakyat vis-à-vis the Federal Constitution is a simple one. It is to respect the Constitution and ensure that it is defended and upheld at all times. In sales, you must demonstrate your passion to your customers. If you feel very proud of what you can do for your customers, they will connect with your enthusiasm, and be interested in what you sell. I was invited as a presenter for a sales and communications conference recently. The organisers wanted me to speak to the participants about how they can leverage on passion, and how this impacts their ability to sell. I really enjoy addressing sales symposia. The people attending these sessions have a different vibe and their level of enthusiasm is quite off the charts. I have noticed that most successful sales-based entrepreneurs have a similar trait. They have understood that they must really like people, and that they need to be authentic about their passion. In my training programmes for sales teams, I do not really offer tools or “how-to-techniques” on closing sales. Instead, my programmes concentrate on creating an internal operating system to ensure that sales people connect with passion. Think about the times when you have not realised you needed something, but you have still gone ahead and bought it anyway. I am certain that it was because the person, who sold it to you, was absolutely convincing. They successfully influenced you to decide that you needed what they were selling. And, this ability to be an influencer is firmly grounded on passion. 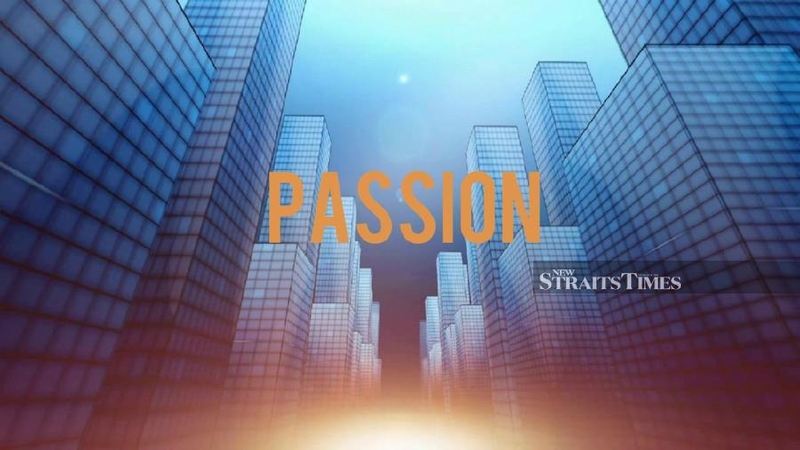 Passion is arguably the most effective sales tool, and it is displayed in people who genuinely care. You must be willing to take the time to serve your customers in whatever manner necessary. People who are really passionate about their products or services will understand that they cannot fake it. Their approach has to be genuinely founded on enthusiasm, and a belief that they are being useful to others. In the conference I mentioned earlier, I focused on getting the attendees to connect with purpose and become passionate about their products or services. As I spoke, I noticed that most of them resonated with this idea of connecting deeply with what they did. They understood that only if they truly believed in what they were selling, they can influence their customers. And because they believed so strongly in what they offered, their hunger shone through. If you work in sales, I want to remind you that your potential clients can tell when you are enjoying what you do. Your customers will recognise when you are not into the job. They will sniff you out easily. A customer needs to sense three things from you if you want to be a successful sales person. You must show them clearly through your communication that you are glad to be in front of them; that you know what you are talking about; and that you truly love what you do. This exhibition of desire to your customer is what closes the deal. If you don’t have passion for what you’re selling, the prospect won’t either. So, working on your belief and attitude is critical for sales success. Now I know some of you reading this might say that you are not in sales and this is not applicable to you. But, nothing is further than truth. All of us are selling one thing or another. Every day, at work, you have to convince the people who employed you that they made the right decision in hiring you. And, that you are a suitable candidate for being promoted. In my book, “So, You Want To Get Promoted?” I share that the first key towards any career growth is for you to get noticed for the right reasons. You have to “sell” yourself correctly to get noticed. Every employer wants their staff to show that they are glad to be at work; know what they are talking about; and have a real genuine interest in their job. This is exactly how it works in your career, too. Your bosses are in fact your customer. And they must know and feel that you are interested in working with them, and are passionate about using your skills. As you communicate, your bosses want you to exude energy and excitement in your body deportment, and movement. For many employers this single factor plays a huge role in deciding whether to hire you, or to promote and offer you bigger responsibilities. Your voice is a key indicator of your passion. Put some effort into your voice by speaking with energy, and commitment. There’s nothing worse than listening to an employee drone on about something unenthusiastically. When you communicate with colleagues and line leaders, be interested in maintaining connection. As you concentrate while interacting, you show that you are interested in them. It also helps you gauge their reactions to you. Remember, you might say, “I am not in sales; as that kind of work is just not for me…” but the reality is that you most definitely are. It is interesting to note the trend in fighting corruption in Muslim and Muslim-majority countries. The 2018 Corruption Perceptions Index (CPI) clearly shows there is no Muslim country ranked in the top 20 (of being least corrupt) of the 180 countries surveyed. However, United Arab Emirates (UAE) took 23rd place with a score of 70/100 topping the table as the “cleanest” country among Muslim countries. Qatar, meanwhile, came in second place, but ranked 62 in the world with a score of 33/100. 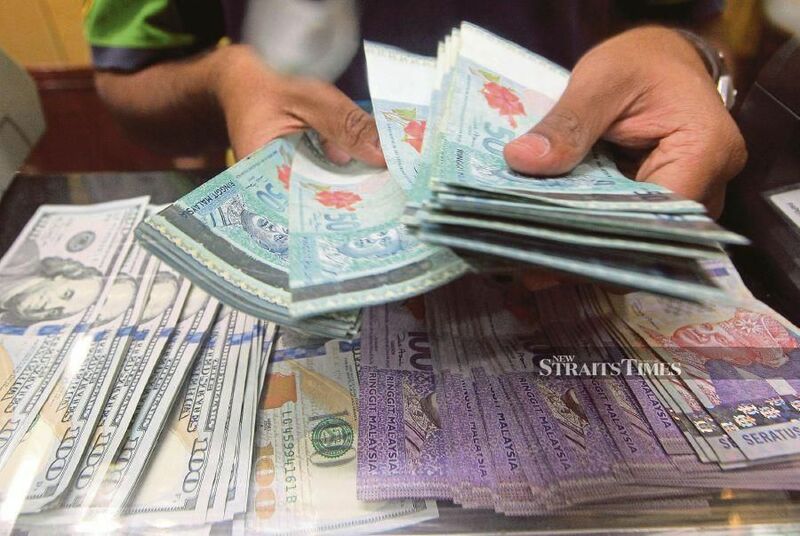 Based on the 2018 CPI, Brunei ranked 31st with a score of 63/100. In 2017, Brunei was ranked 62nd with a score of 32/100. Jordan ranked 58th (49/100), Saudi Arabia 58th (49/100), while Bahrain scored 39 and ranked 99th. Malaysia is the 7th least corrupt among Muslim countries, but has moved up to 61, one notch higher from the previous year retaining the score of 47/100. Indonesia was in 89th position (38/100). The rankings and scores of other Muslim countries are: Turkey 81 (40/100), Egypt 105 (35/100), Kosovo 93 (37/100), Pakistan 117 (33/100), Yemen 176 (14/100), Iraq 168 (18/100), Sudan 172 (16/100), Afghanistan 172 (16/100), Syria 178 (13/100) and Somalia 180 (13/100). Worldwide, Denmark is in top spot with 88 points, while New Zealand ranked second with 87 points. Finland, Singapore, Sweden and Switzerland shared the third spot with 85 points. Among the criteria to determine rankings are a robust rule of law, independent oversight institutions and a broad societal consensus against the misuse of public office and resources for private interests. The 19th century Egyptian scholar and jurist, Muhammad Abduh, once said: “I went to the West and saw Islam, but no Muslims; I got back to the East and saw Muslims, but not Islam.” About 200 years later, corruption still remains the main problem in many Muslim-majority governments in the Middle East, North Africa and Asia. Most of the core values of western countries, such as transparency, integrity, accountability, freedom, human rights, and justice, are universal values and do not conflict with Islam or any religion and are important constituents of Islamic teachings. The study found that the top countries in both economic achievement and social values are New Zealand, Ireland, Denmark and Luxembourg. Among the traditional Muslim-majority countries, Malaysia was in 33rd place, Saudi Arabia 91st and Somalia 199th, falling at the bottom of the list. This is a complete failure of a model Muslim society, that upholds good values and ethics, and integrity. Muslim countries, Malaysia included, have to ratify and improve this corruption perception. We should learn from Denmark and New Zealand strategies to fight corruption.They have leaders with integrity, practise good governance, transparency and accountability in the public sector. They also have independent oversight committees to monitor the procurement process. The public, on the other hand, must give full support to the anti-corruption agencies. For Muslims, from the religious and spiritual standpoint, there is added concern of accountability to God for acts of corruption. In fact, there is a strong emphasis in Islam against corruption. Being a good Muslim is not just about praying, fasting, reading the Quran or giving to charity, but is also about having integrity and high ethical standards and being accountable to God. A Muslim’s faith should be true and sincere. Hussain said that we listen to religious lessons and sermons more than people of other faiths, but we are still not the best of nations. In the last 60 years, we have listened to 3,000 Friday sermons. We must practise what we preach or hear being preached. And surely in Islam, corruption is a sin. Above all, the best way to prevent corruption is to restore strong ethical and moral values based on Islamic principles and adopt an Islamic administration model. Since the UAE and Qatar governments are seen to be the cleanest and most trustworthy of all Muslim countries, they should share their best practices to improve the CPI score and reduce corruption in other Muslim countries. CORRUPTION has been with us since the beginning of human organisation. Yet, we cannot be unconcerned and complacent because corruption not only attacks the economic and social fabric of society, but also the moral foundations of order. It is pervasive and affects almost every aspect of life. From the person who wants his business application to be processed speedily, to others who want to expedite their application for low-cost housing, bribery can take place in any shape or form. It has been proven in many instances that greed is the motivating factor behind most if not all corrupt practices. Officers involved in corrupt practices are mostly those in charge of law enforcement. Law enforcement agencies, hence, should have an internal control system that can detect irregularities. Efforts, too, should continuously be made to instil integrity and ethical values, because people with integrity are not likely to commit corrupt practices. I believe the inculcation of noble and ethical values, accompanied by adherence to the oath of good governance, is the most effective to fight corrupt practices in the civil service. We need to build strong incentives that will subject corrupt practices to public scrutiny. The information age is providing citizens and non-governmental organisations with powerful tools to combat local corruption. Likewise, the global economy puts tremendous pressure on local governments to rid themselves of factors that reduce their competitiveness. The movement towards decentralisation, accountability and transparency at the local government level is gathering momentum. In this context, the enormous costs of corruption are being explicitly recognised, as is the urgent need to correct governmental malfeasance. Corruption is an entrenched symptom of misgovernance, often reflected in patronage, red tape, ineffective revenue-generating agencies, large-scale bribery in procurement and failure to deliver services to city dwellers. But when local officials in charge of public resources are accountable to their citizens, decision-making can become participatory. In turn, a participatory process can be the cornerstone of a national strategy to reform “sick” institutions and improve the welfare of city dwellers. Cities implementing and sustaining accountable and transparent systems as well as good governance can expect to attract financial and human resources and become showcases of exemplary practices to be emulated nationwide. In the final analysis, preventing corruption helps raise city revenues, improve service delivery, stimulate public confidence and participation and win public support. By TAN SRI LEE LAM THYE.